The figures represent a dramatic turnaround in the UK's electricity supplies. The first ever day when solar produced more than coal was only on 9 April - when there was no coal-fired electricity for the first time since 1882. But then May became the first ever month when this happened. James Court, head of policy at the Renewable Energy Association, said: "Solar overtaking coal this summer would have been largely unthinkable five years ago. "This new data shows its popularity amongst homeowners and businesses and its falling costs. Now that we have a significant global and domestic industry, solar is one of the cheapest forms of power. "Government policy stability is critical, however. Solar PV deployment in August 2016 was one third of what it was in August 2015 due to the sudden and severe changes to policy in the past year." 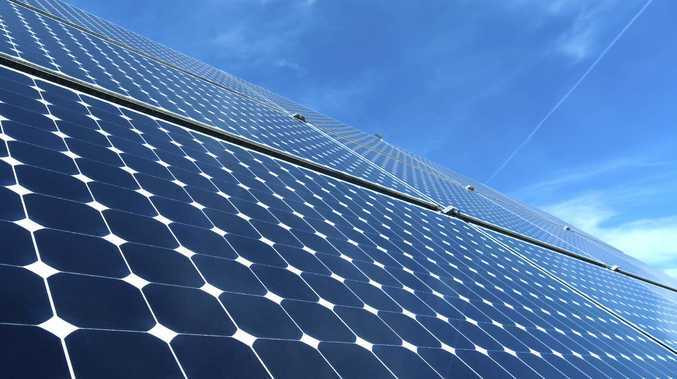 "The role for solar is significantly expanding as we develop complementary energy storage technologies, but we need government support to continue to achieve its potential," Mr Court said. A report by the Renewable Energy Association found there were now 35 grid-scale electricity storage projects and at least 1,500 residential ones, totaling about 3.2GW. Frank Gordon, a senior policy analyst at the Renewable Energy Association, said: "Energy storage has great potential in the UK, and can unlock billions worth of savings according to the Government's advisers. "Our research indicates that there are multiple gigawatts of capacity that are being proposed or are ready to be developed, but a joined-up and supportive policy structure is critically needed." The Government announced last year that it planned to phase out what it called "unabated" coal-fired power stations by 2025. This suggests emissions would need to be at least partially "abated" or reduced by that date. The Government has not said what level would be allowed. Juliet Davenport, chief executive of renewable energy supplier Good Energy, said: "Renewable energy has been an unbelievable success story in the UK and around the globe. "When I started my company 15 years ago, you could fit the whole UK renewable energy industry into a small room, and now nearly 25 per cent of the UK's power comes from renewables. "We've also seen a renewable revolution on people's rooftops with more than 750,000 UK homes generating their own energy from the sun. "As clean technology advances, Britain is bidding farewell to coal. The transition to a 100 per cent renewable future is within Britain's grasp."